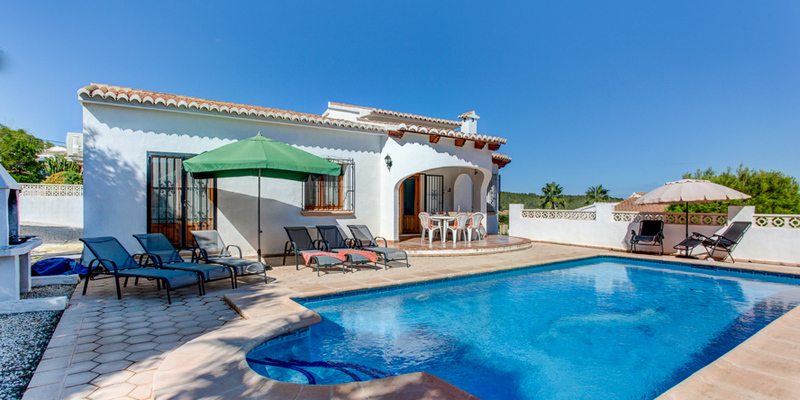 Sleeps 6 + an infant - spacious and immaculate, south-facing 3 bedroom / 3 bathroom villa, with full hot/cold remote-controlled air-conditioning, conveniently situated on the peaceful & secluded Les Fonts urbanisation just outside the village of Benitachell, and only 10 minutes drive from the attractive seaside towns of both Moraira & Javea and their beautiful beaches. There is also a huge choice of restaurants within 10 mins drive. 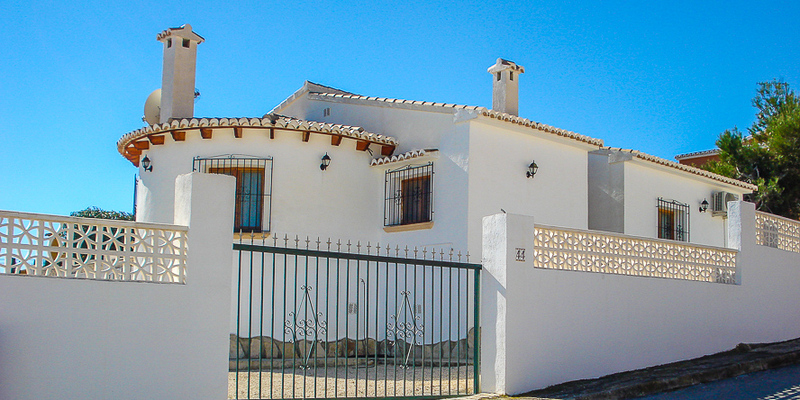 The traditional Spanish village of Benitachell is within walking distance (approx. 20 mins walk or 5 mins drive) and has many restaurants & bars (including traditional Spanish, English, Italian & Chinese), a supermarket, banks, shops, traditional blue-domed church (which is illuminated at night), and a street market on Wednesday mornings. 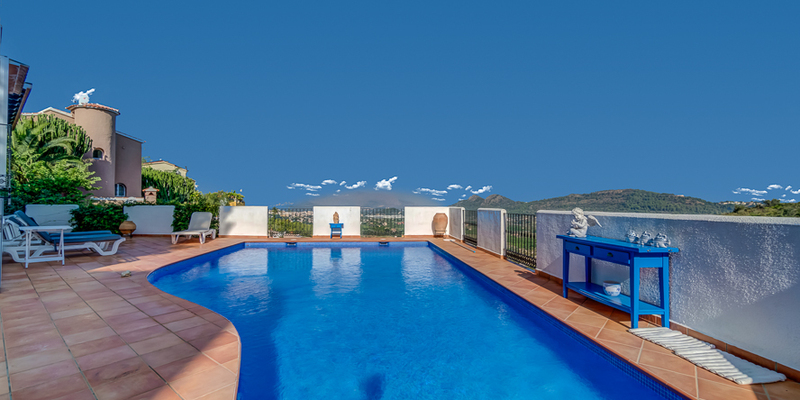 The villa is surrounded by beautiful countryside including vineyards and pine forests, and has lovely countryside and mountain views, and distant sea views. There are some really picturesque rural walks direct from the villa. 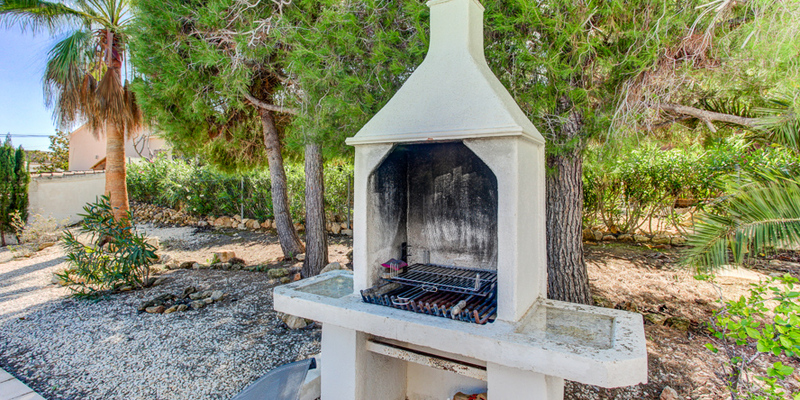 Benitachell also has its own secluded beach within 10 mins drive that has two restaurants which stay open until late in the evening in the summer and have varied menus, including fantastic paellas freshly cooked whilst you wait (the best in the area). 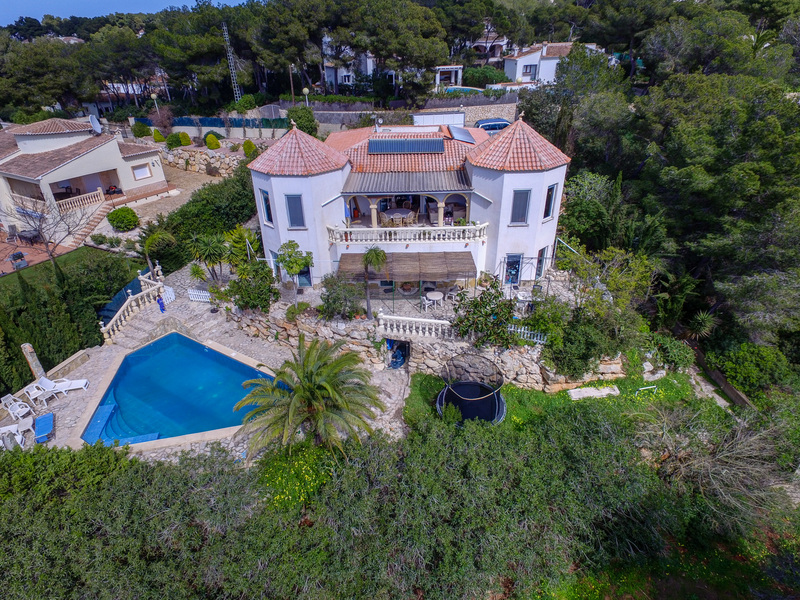 The villa has attractive gardens with a built-in charcoal BBQ, extensive sun bathing terracing around the 8m x 4m private pool, and a covered "naya" (terrace) overlooking the pool for al fresco dining. 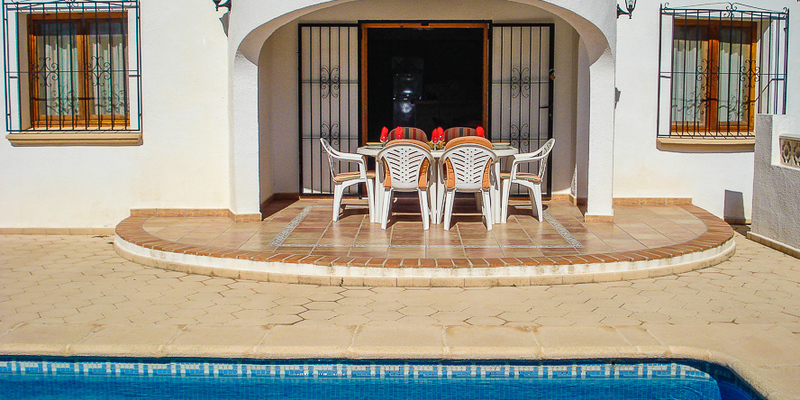 At night there are plenty of outside lights for an evening BBQ, and the pool can also be illuminated for a late evening dip. 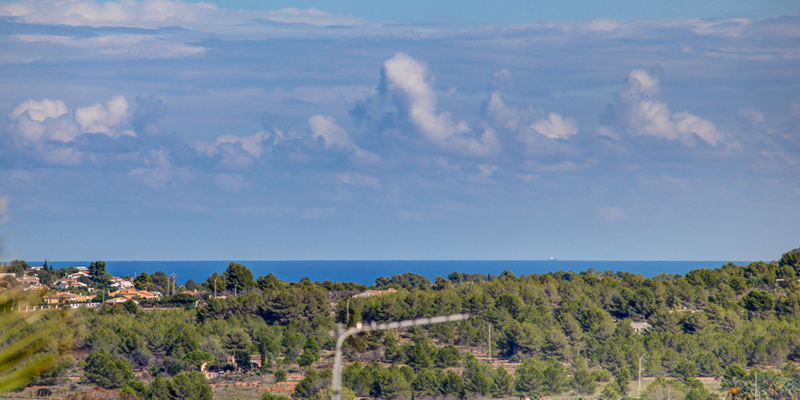 The coastal motorway is 15 mins drive, giving easy access to everything that this beautiful part of Spain has to offer. 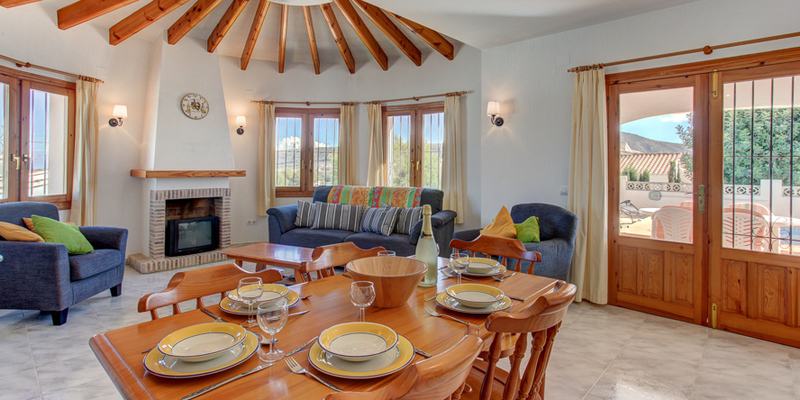 The villa is ideal for families with younger or older children, or groups of friends. 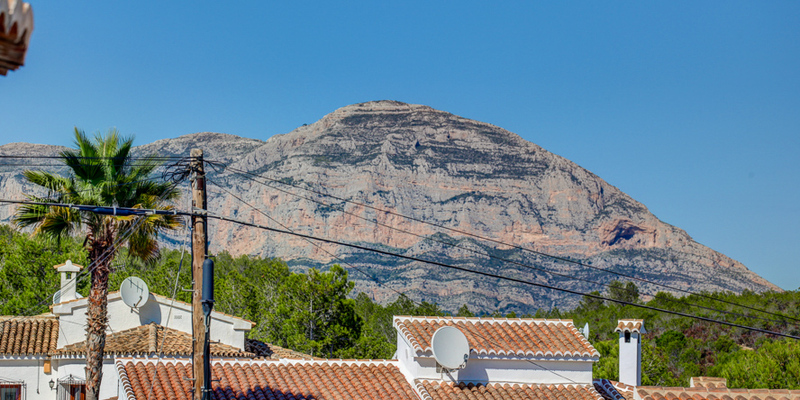 There are plenty of watersports & activities available in Moraira & Javea, Terra Mitica Theme Park and Aqualandia Water Park are 45 mins drive, and there are many lively bars and a couple of nightclubs in Moraira & Javea. SMOKING is not permitted inside the property, but is allowed in the external areas. For those considering a low season sun break, the villa captures the winter sun perfectly, and the air-conditioning also heats the villa. 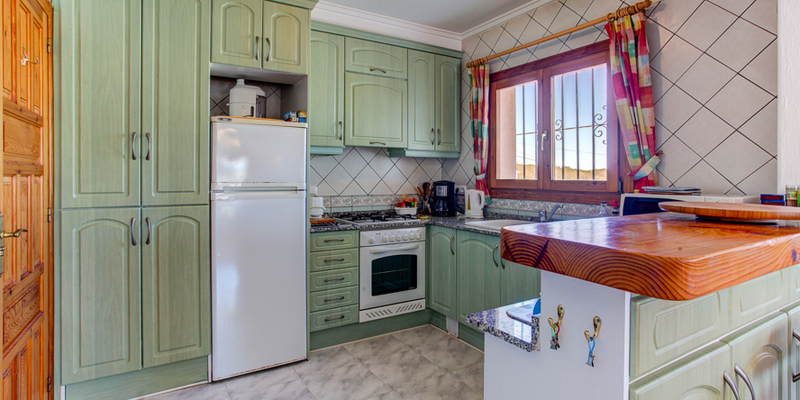 Situated on a large, flat plot (10 steps up from the parking area), the accommodation and spacious outside areas are on one level, making the property ideal for families or groups of friends as well as the more mature holidaymaker. NAYA (COVERED TERRACE): Entrance to the property is via the double doors from the terrace into the living/dining room. 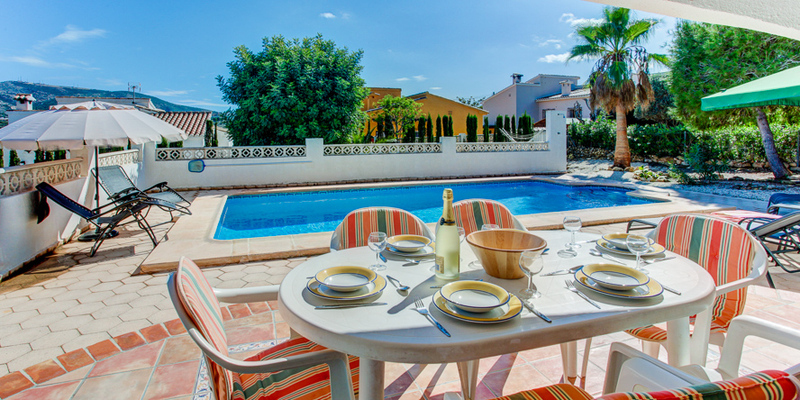 The terrace overlooks the pool and has a table & chairs seating 6 for dining al-fresco. LIVING/DINING ROOM: Pine-themed throughout - dining table & chairs (seats 6) , with comfortable sofa & armchairs in the living area & matching coffee table, Satellite TV (English, French, German & Dutch channels), DVD player, plus CD/radio player, Infomation Book (in English & French), & hot/cold air-con unit. 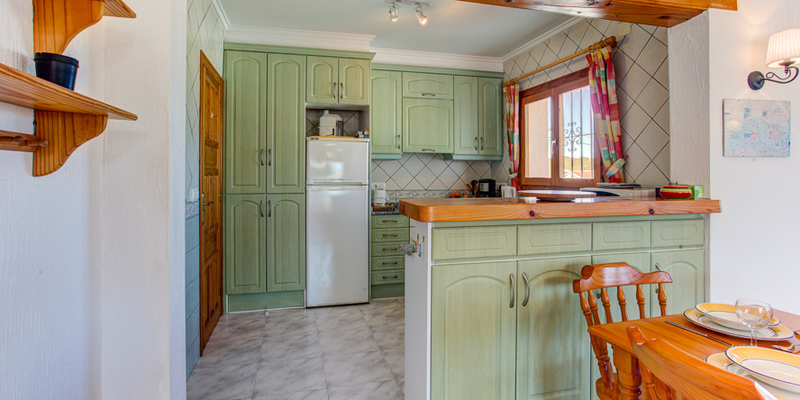 OPEN-PLAN KITCHEN: Separated from the dining area by a breakfast bar, the fully equipped kitchen has a dishwasher, washing machine, double sink unit, fridge/freezer, microwave, electric oven/grill & gas hob, kettle, toaster & coffee maker, iron & ironing board. MASTER BEDROOM: Double bed with fitted wardrobes, and double doors that open onto the sun terrace. 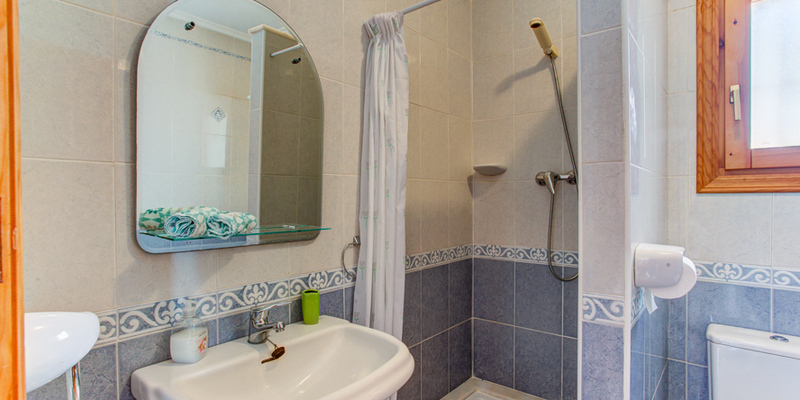 Hot/cold air-con unit, and en-suite shower room with shower cubicle, basin & WC. BEDROOM 2: Twin beds with fitted wardrobes, hot/cold air-con unit, and en-suite shower room with shower cubicle, basin & WC. BEDROOM 3: Twin beds with fitted wardrobes & hot/cold air-con unit. Family bathroom is opposite. 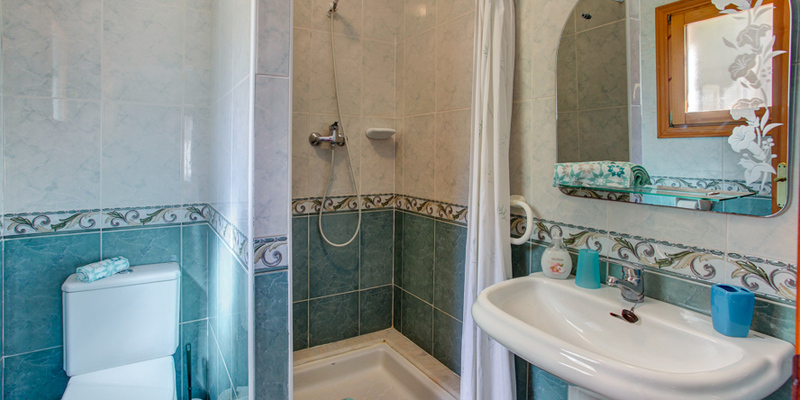 FAMILY BATHROOM: Full-size bath with shower over, separate shower cubicle, basin & WC. MOSQUITO SCREENS: All windows in the villa have mosquito screens. Lovely 8m x 4m pool which can be illuminated at night, and extensive sun-bathing terracing around the pool, plus an outside shower. There are 6 sunbeds and 2 large parasols. 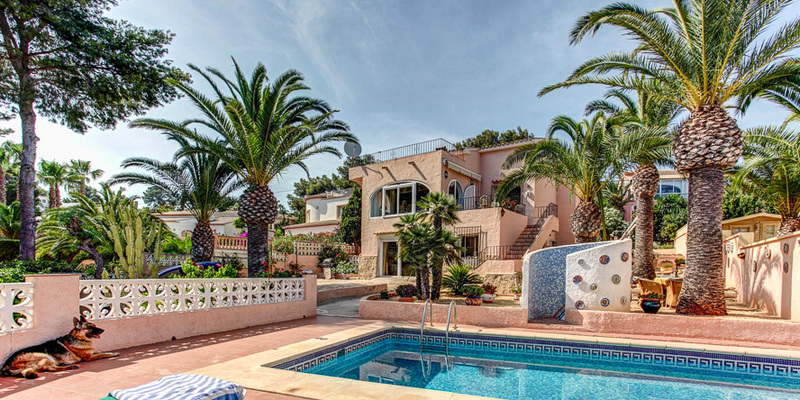 The villa is surrounded by attractive gardens, and there is a section with a revolving clothes dryer. The built-in charcoal BBQ is at one end of the terrace, conveniently situated for dining on the naya. PARKING: There is secure parking (behind locked gates) with room for up to 3 cars. The television has English channels, there are also French channels including the TNT (in total 19 French channels) + international channels from whole Europe (the Netherlands, Germany etc.). 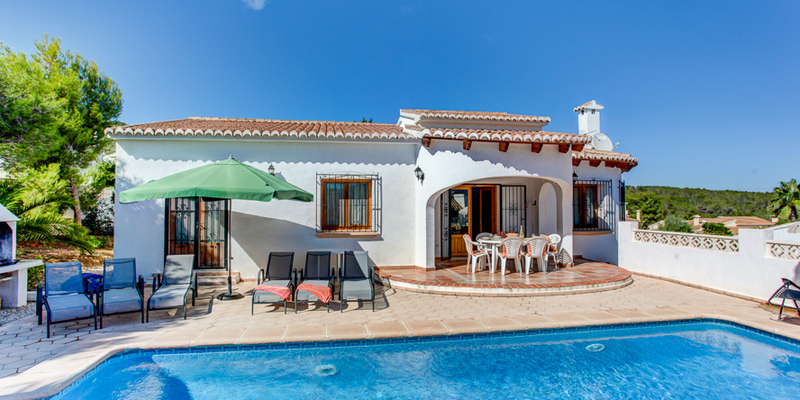 To reserve this property we will require a deposit of 25% with the balance and any compulsory extras being collected 8 weeks before arrival. 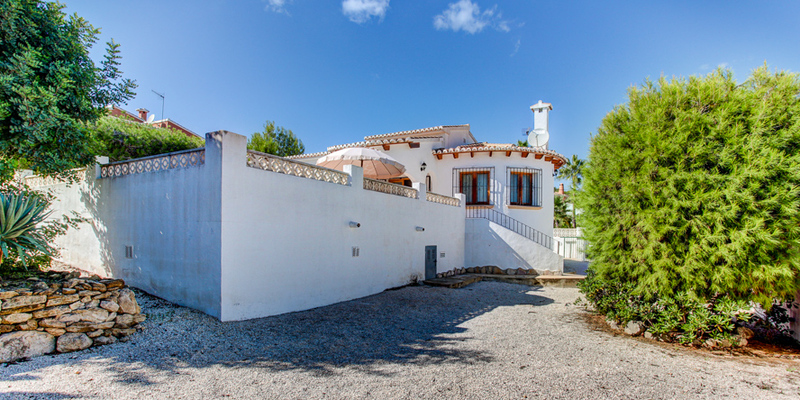 Compulsory extras at this property are displayed on the price details page. 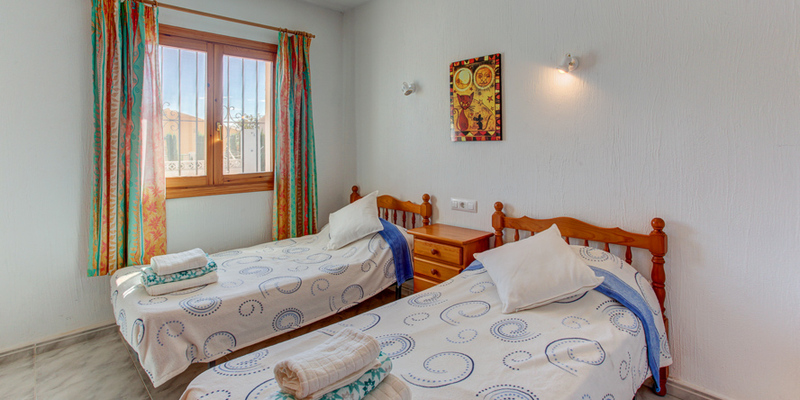 Optional extras such as cots, high chairs, folding beds can be requested as required. Your booking is not confirmed until you receive a confirmation email from us. The refundable security deposit at this property is £200 and will be collected with the balance.